During my research and reading for this project I’ve learned a lot of things about owls. I thought I’d share some of the more interesting and quirky facts I’ve come across. So, here are 10 fun owl facts. 1. Elf owls are known to play dead when caught. 2. If spotted during the day Owls are often “mobbed” or followed and pestered by groups of smaller birds. Crows will mob Great Horned Owls, chickadees will mob Northern Pygmy Owls. They can also easily be mistaken for a pine cone! 4. In Winter Short-eared Owls gather in large groups, these roosts can include up to 200 owls. 5. Owls’ ears are at different heights on its head enabling them to directionally pinpoint a sound. 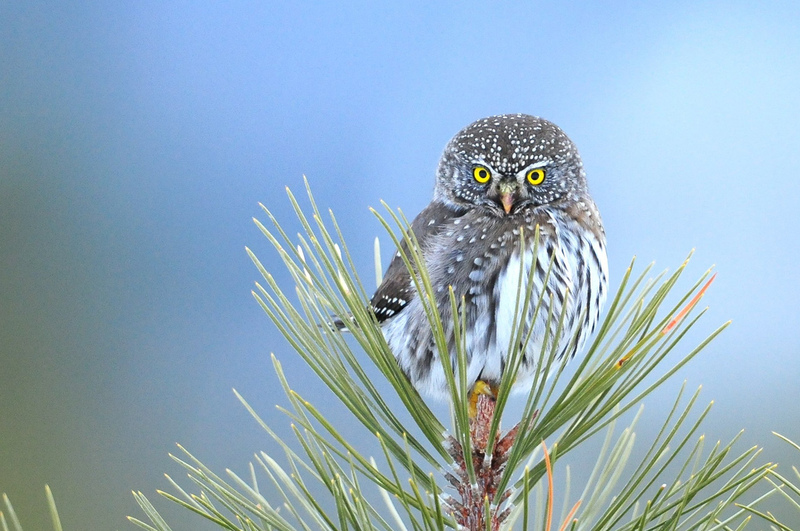 Great Grey and Northern Saw-Whet Owls are so good at this they can catch prey hidden under snow. 6. 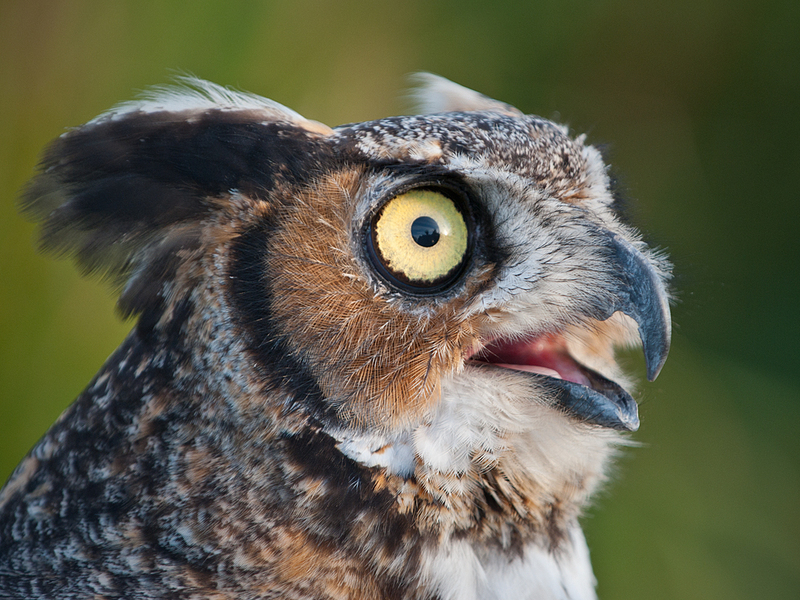 The “horns” or ear tufts on some owls aren’t really ears (or horns). They are feather tufts thought to be used for camouflage and silent communication. 7. Snowy Owls aggressively defend their nest sites, driving away Arctic Foxes and even Wolves by dive bombing. Geese and ducks are known to nest near Snowy Owls to take advantage of this, even though they are potential prey of the owls. It’s thought Snowies often don’t hunt near their nest sites. 8. 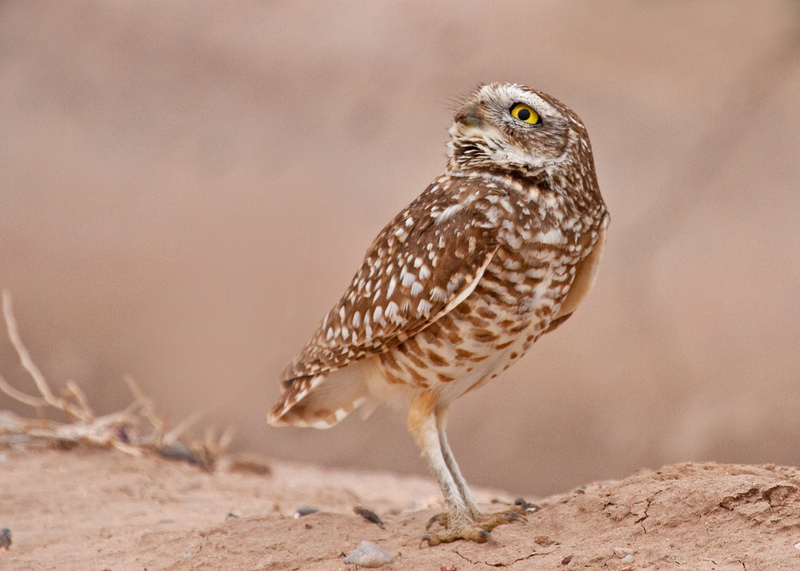 Burrowing owlets will mimic a rattlesnake’s rattle to scare predators. 9. Great Horned Owls are very adaptable. Their range covers the majority of North America, Central America, and parts of South America. They live in a wide variety of habitats, including deserts, suburbs, swamps, and northern Boreal forests. 10. Sometimes Owls will store extra food if there is an over abundance. 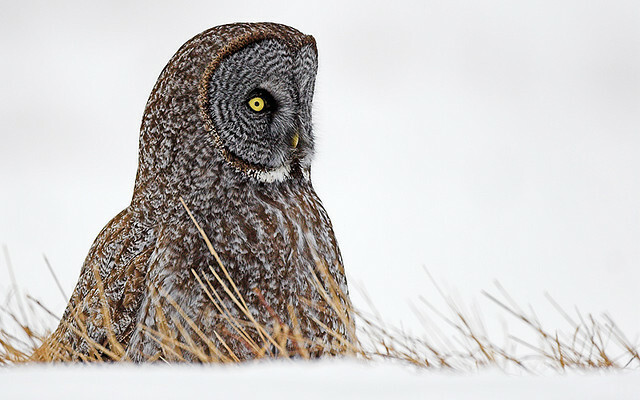 In cold climates owls like the Northern Saw-Whet will sit on their leftovers to thaw it. That’s it for now, hope you enjoyed them! Thanks to these photographers that allowed me to use these amazing owl photos! Play dead & warm leftovers ~ I had no idea ! Wonderful facts! I can’t wait to share them with others. New handmade pouch! My wife recently figured out she enjoys sewing so we've been working on some patterns and bags. This is my watercolor blue crabs pattern that's also available on spoonflower as fabric. Hope to make these available at our craft shows and online soon! Pufferfish painting. Been making some patterns the last couple months (swipe over). My spoonflower page has some new patterns and also hope to have some fun new things coming soon!